After I had tested the N570-based S1080 tablet yesterday I had a great discussion with Gigabyte about mobile video editing. Gigabyte have always explored new features and pushed the boundaries in some way another so I guess I shouldn’t have been surprised when the representative told me I should wait for Computex to see the T20xx range of devices that will come with the latest, Sandy Bridge versions of Intel’s Core i3 or i5 CPUs. I understood that they would be convertible too. That’s going to be something to test as soon as possible because if they manage it, we could have another low-cost power-option on our hands. If they manage to get some decent battery life out of it and keep it under 1.5KG too, it’s going to be very interesting indeed. I sincerely hope that the rep knew what he was talking about and can’t wait to hear more. Computex starts on May 31st and we’re planning to be there. 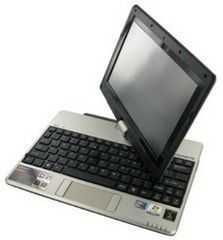 What do you want in a Windows based tablet PC? A faster CPU, optical mouse and buttons, glossy and matt screen, Bluetooth 3.0 + HS, USB 3.0, Gigabit Ethernet and docking station would be nice right? 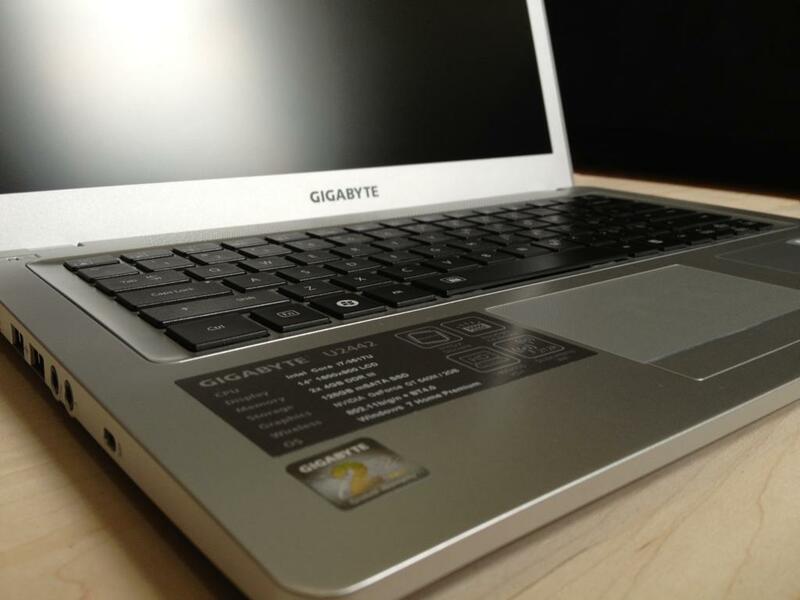 The Gigabyte S1080 lacks only the digistiser but even without it its the highest spec tablet I’ve seen at 10″ and 900gm. I’ve got a video coming up later but don’t panic, this won’t be available until May! 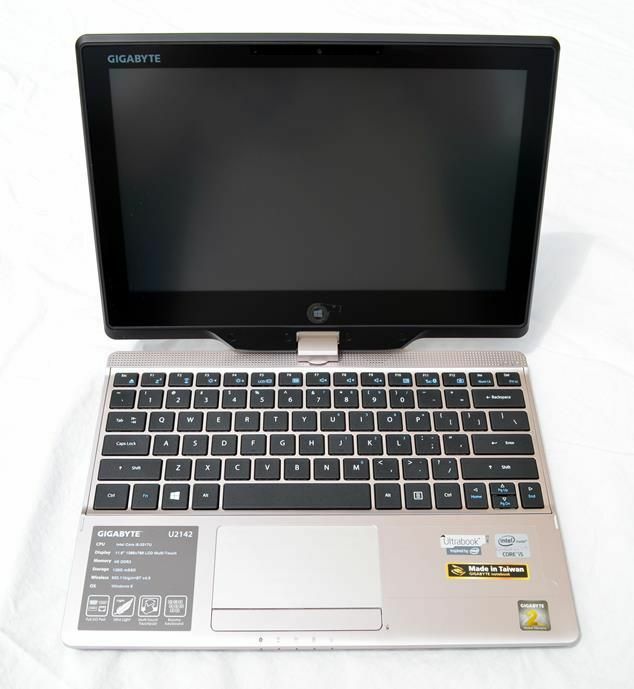 Gigabyte S1080 Windows Tablet with Docking Ports. Hands-on Video. 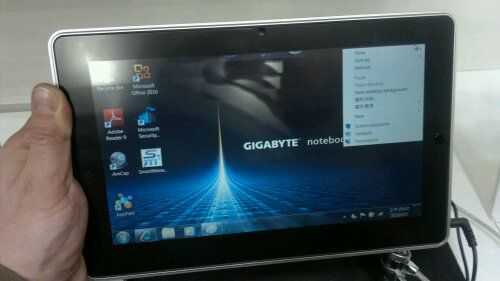 Gigabyte launched a new Tablet PC at CES that we haven’t reported on yet. My fellow MeetMobility podcaster Sascha of Netbooknews has just had hands-on today so it’s worth plugging his video and talking a little about the device. 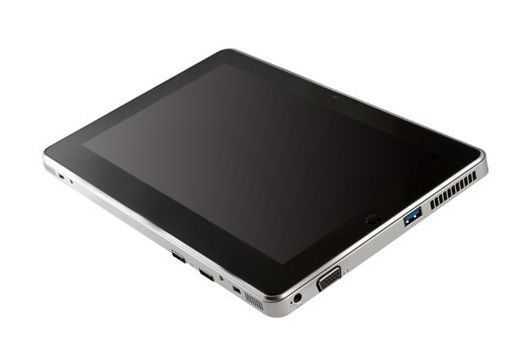 Firstly, we’re talking about 10 inch capacitive touchscreen tablet at 900gm running Windows 7 on a netbook platform with the N570 (2×1.66Ghz) CPU. Usefully, there’s a built-in mouse area and left-and-right mouse buttons which is perfect for two-handed use. Unfortunately, there’s no digitiser so you’re left with a slight mismatch between the pen-focused Windows 7 and the finger-focused touchscreen. It’s something we’ve seen in a few devices recently and we don’t like the trend. 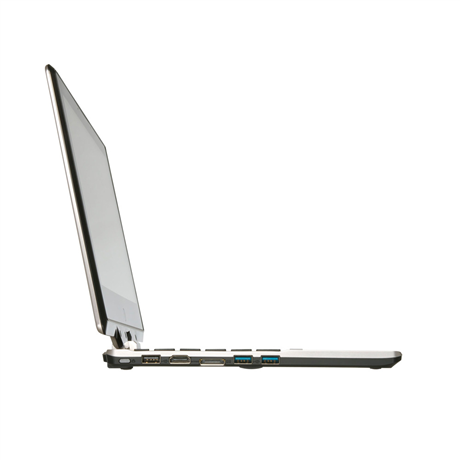 HP have it right with the dual-mode 500 slate as do Lenovo and Motion Computing. Interestingly though, the device isn’t aimed at vertical markets. The press-release from Gigabyte (Jan 6th) sates: â€œThe S1080 is designed to be the ultimate mobile device to fit the demanding needs of consumers who need a high-performing multitasking slate that offers the full productivity of a PC, inch OK, taken from that angle, they might have it right. There’s a suite of overlay software and, i’m pleased to say, provision for a docking port that looks, based on the size of those connectors, to offer serious connectivity. Wouldn’t it be nice to have a PCI-Express slot in the docking station. Gigabyte are no stranger to the idea of PCI Express but it has far more value on a powered docking station. Later in the press release, Gigabyte allude to a more professional customer: â€œThe large hard drive also makes it the perfect device to load custom business and enterprise applications"
We seem to have an interesting product here for either consumer or enterprise marketsâ€¦until we look at battery life which brings a huge question mark to the table. N570 at 900gm means max 30Wh battery and that means 3-4hrs in my opinion. I’ve tested the 1KG N350 (Samsung, also dual-core Atom) and that didn’t get much past 4hrs. Still, with the dock in use, this could be something for hot-desking and hot couching! I’m looking over at the Fujitsu U820 that is powering this post and thinking, hmm, upgrade time? A 10 inch screen next to my desktop screen would certainly be more useful on my desk than the 5.6 inch-er I’ve got here. Let’s hope for 2GB and Windows Home Premium and the possibility to swap the HDD for an SSD. Here’s the video from Netbooknews. Me and chippy mentioned on Twitter just the other day that more power was needed from netbook based systems and Gigabyte may have just come up with the goods in their T1000 series refresh. The T1005M comes packing Intels newest Atom processor, the N550. Its a 1.5GHz dual-core chip with 512KB of L2 cache, DDR3 support and hyperthreading to get you multitaskers moving along nicely. 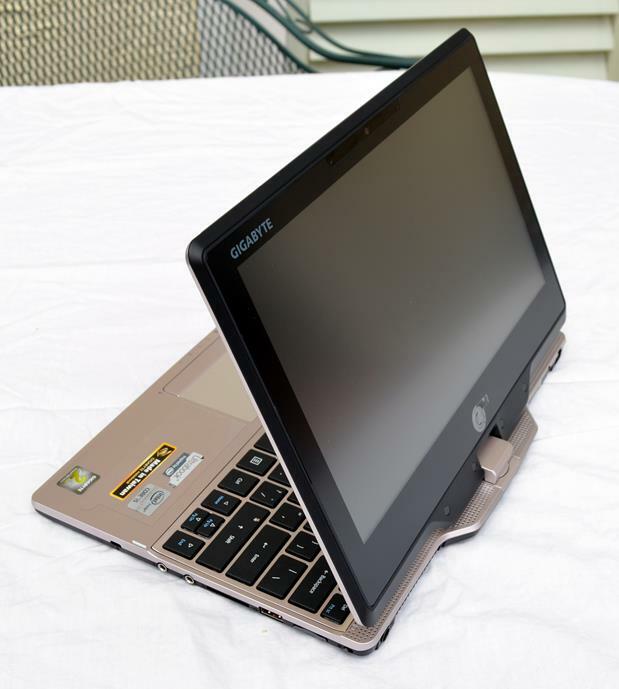 Other specifications from this convertible netbook include, 2GB DDR3 RAM, 320GB hard drive, WiFi 80211b/g/n, Bluetooth, 2x USB 2.0, Windows 7 Home Premium and a 10.1 inch capacitive multi-touch display running at 1366 x 768 pixels resolution. What is also notable is the inclusion of one USB 3.0 port and optional inbuilt HSDPA. Based on these specifications I think we have found chippy a new convertible, assuming he’s willing to stump up the $798 USD premium. The unit weighs 3.3 pounds, measures in at 10.4 inch x 8.4 inch x 1.6 inch and comes with a 6 cell, 41Whr, 7650mAh battery. Gigabytes T1005M is already available in Australia, although curiously the retailer is showing the product as discontinued. When it will grace European and US shores is yet unknown but watch this space. The Viliv S10, Lenovo S10-3T and Gigabyte T1000 sit in the 1.2-1.5KG bracket and are therefore just outside the range that we normally focus on here at UMPCPortal but given the multiple usage scenarios offered by the touch-capable convertible form-factor they are still worth looking at. I’ve talked about the relative pricing of the four devices here but what about the features? 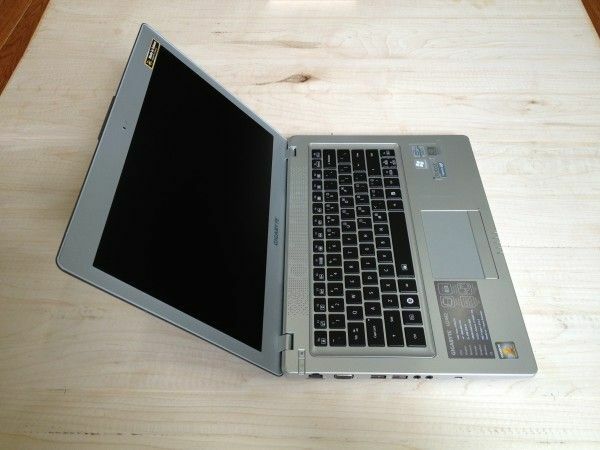 Sascha got to play with the S10-3T, the T1000 and the S10 at CeBIT last week and here’s his hand-on video. [S10 appears later in the video here.] You can see how slim the S10 is compared to the other two devices.Viliv have done an excellent job with size, weight and styling. â€œThey are kinda bulky inch says Sascha as he holds the Viliv S10 and points to the other two devices!